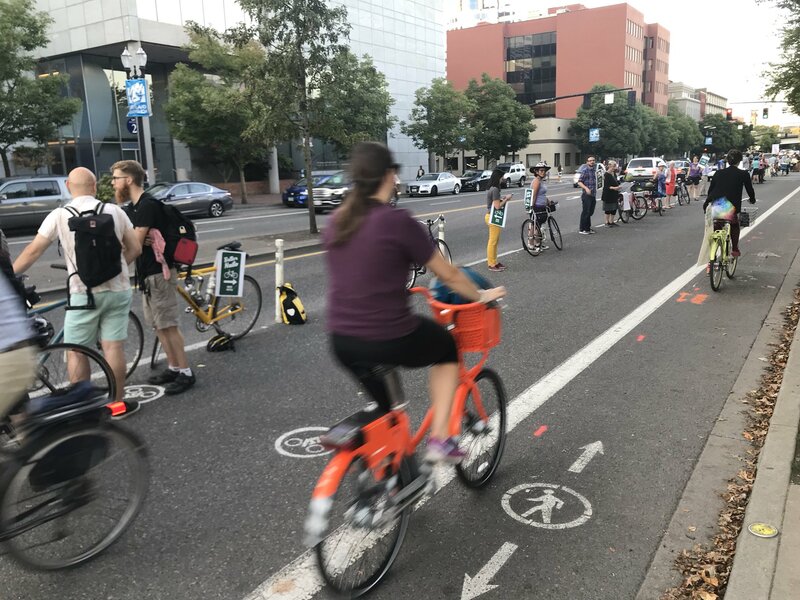 A quarter-mile of Portlanders lined Southwest Naito Parkway’s temporary protected bike lane Thursday evening to form bollards with their bodies and call for the next “Better Naito” to be permanent. 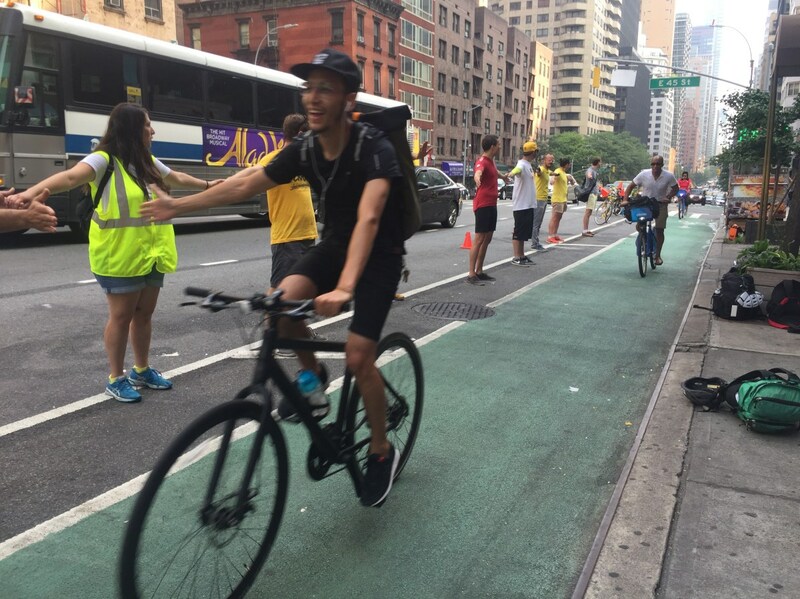 A person-protected bike lane in New York City last month. 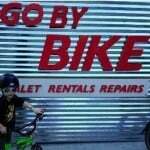 This is a subscriber post by Kiel Johnson of Go By Bike. 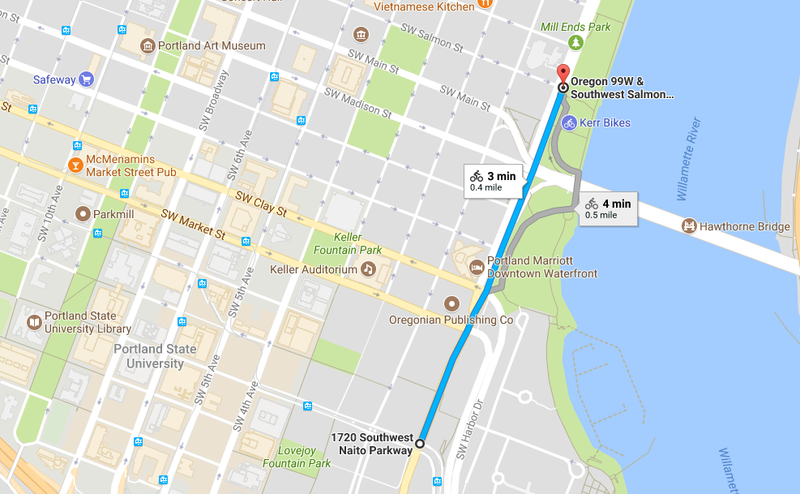 At 6 p.m. tonight, join me and your fellow bike enthusiasts for what could be, if we want it to be, the biggest bicycling demonstration in Portland’s history. 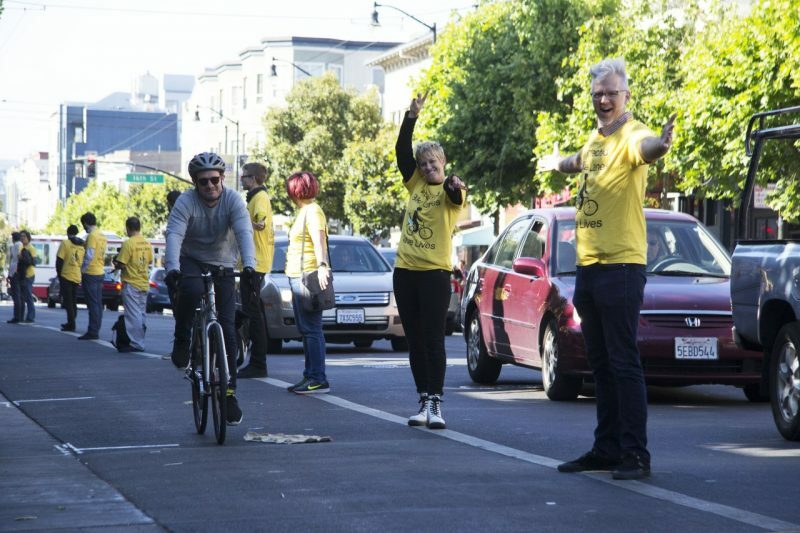 Together we will stand against the complacency that has told us that more biking is inevitable if we only do nothing. 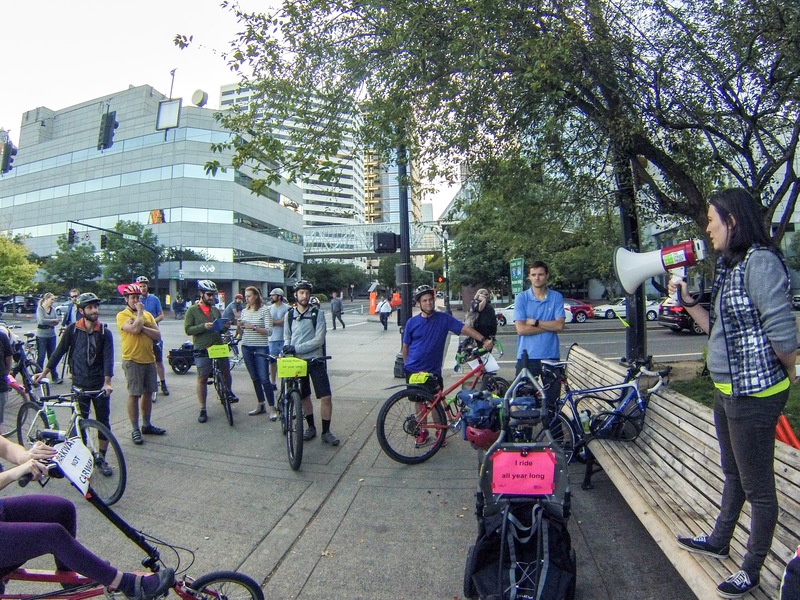 We all know how to get more people biking, but it will only happen when enough people in Portland stand and demand it as loudly and as often as they can. Each bike lane that we add or take away tells a story about who we are and what kind of place we want to live in. Are we a city that fosters health, community, and environmental stewardship? Or are we a city that breathes the same polluted air and sits in the same traffic as most of the rest of the United States? Tonight, I choose to help make a city where biking is accessible and safe for all; where we prioritize people who move through our city in ways that make us appreciate one another; where we build bridges that connect communities instead of rivers of cars to separate us. 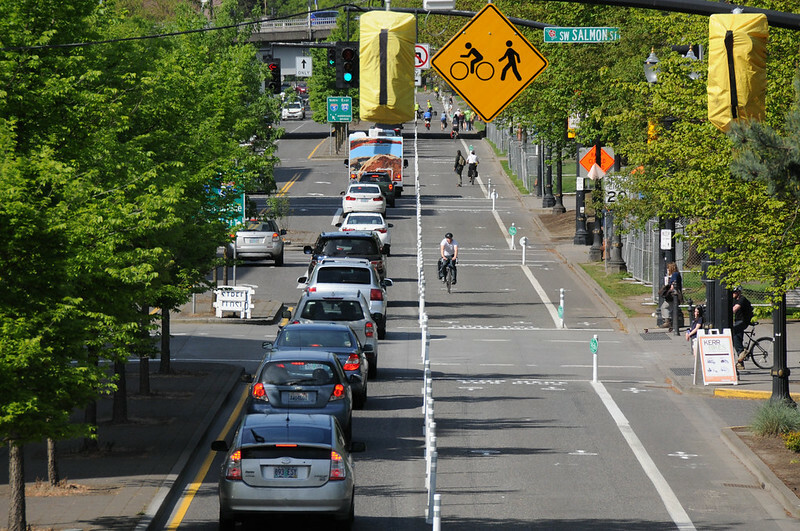 These buffered bike lanes south of the Broadway Bridge don’t cut the mustard. Advocates want physical protection to keep up with best — and safest — practices. 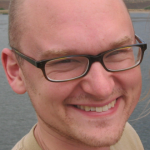 It took PBOT nine (nine!) 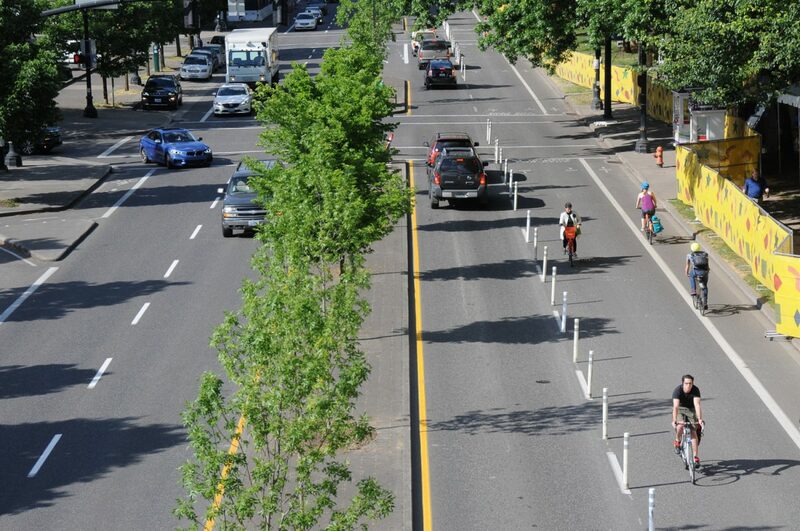 years to close the first “Naito Gap” — a section of Naito Parkway’s bike lane that unceremoniously disappeared near the Steel Bridge. 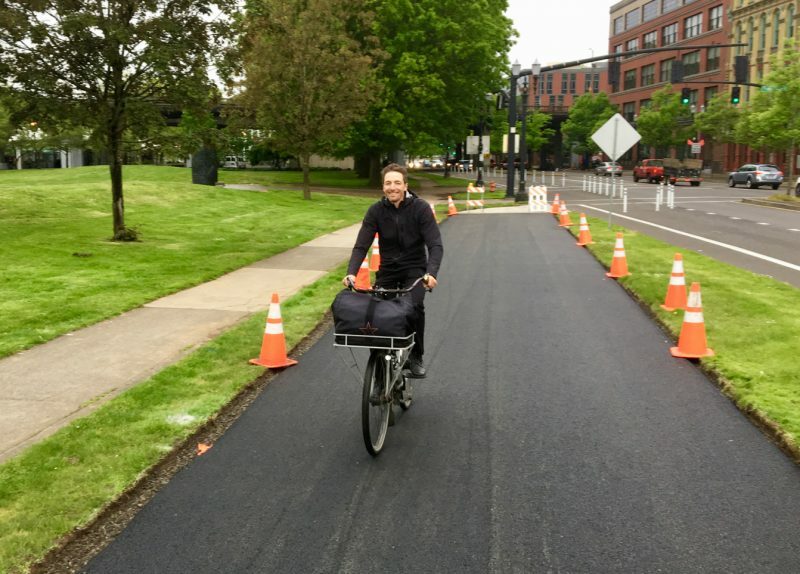 This new path is just one sign of Naito’s emerging significance in the downtown bikeway network. Sorry Portland Business Alliance, but the evolution of downtown streets will continue with or without your approval. The business lobbying group (known around here as “the PBA”) that used to have considerable sway over downtown decision-making, made their opposition to the Better Naito project clear last week. 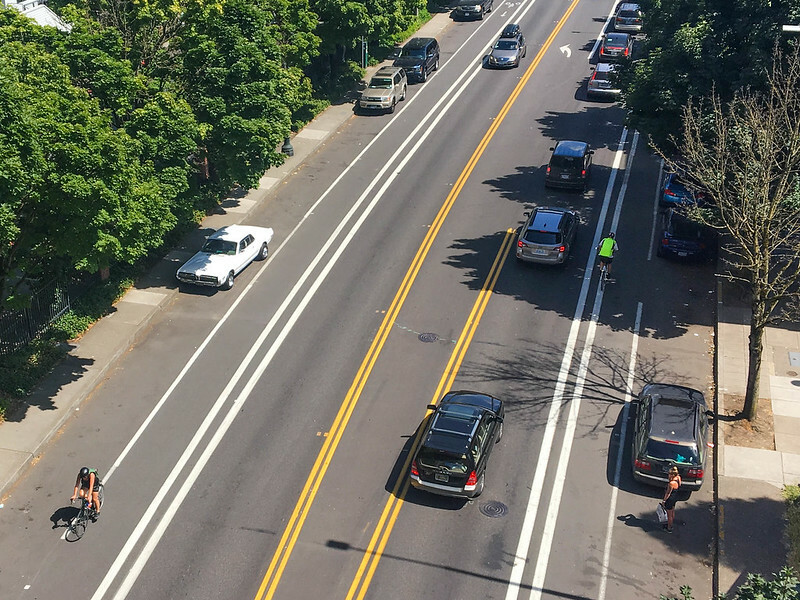 And while the PBA might feel better when the temporary biking and walking-only lane gets removed in September, they’ll soon realize it’s just one of many moves the Portland Bureau of Transportation is making to update downtown streets. And those updates are all aimed at doing the same thing as Better Naito: create more space for biking so it becomes safer and more convenient for more people. 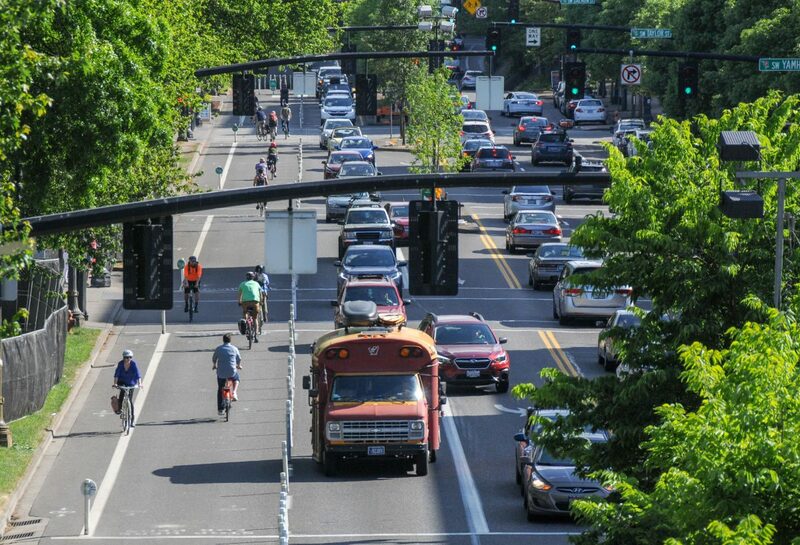 With Better Naito, a new (permanent) path to connect to the Steel Bridge, and several other recent developments, the future of Portland’s downtown bike network is taking shape and Naito Parkway plays a leading role.